There are two ways you can apply for a mortgage when you have your first year of trading under your belt. A fast, savvy way or the slow and painful approach. 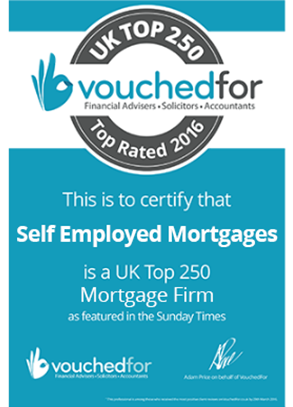 The fastest way for self-employed people is to speak to a specialist mortgage broker. Not just any broker, but one who knows what they’re doing. And that’s key, here. A specialist broker can package your application in a way that appeals to underwriters. Moreover, they’ll extract your true mortgage affordability from your self-employed income. If this route to success is the one you favour, great. Grab a notepad and pen; this article’s for you! If you’re a masochist, you can choose the alternative approach. This involves shoe leather, time you’ll never get back and a wall of rejection. Your cobbler will love you; your clients and partner? Not so much. Either way, it’s worth reading on. This article has all you need to know about self employed mortgages before you pick up the phone. And for the masochists? Let me try and convince you otherwise before you begin wearing down your heels. Deal? Cool. Why did the High Street make it so tough for self-employed borrowers? Getting a self-employed mortgage even with just one year’s accounts was once a doddle. That was when self-cert mortgages ruled and mortgage lenders were less picky. That’s a polite way to summarise their attitude to risk back in the day. But the market they were creating could never support itself. And so it proved. and getting self-employed mortgages with 1 year’s accounts? that task became more tricky than less picky, and almost overnight. The good news is, many mutuals have begun to relax their mortgage lending criteria. That’s for people working for themselves as well as for employees. True. Financiers will never again exhibit the nonchalance displayed before the credit crunch. Too many commentators cited their attitude to risk as a major cause of economic meltdown for that. But today, mortgage lenders are lowering barriers to entry for self-employed people. That’s whether you’re a sole trader, limited company contractor or an established business. There are lenders out there who’ll listen to self-employed applicants! What’s more, they’re working with us. Together, we’re finding mortgage solutions for all business owners. In particular, those with just one year’s trading history like you. What I want to share here is concrete mortgage advice for newly self-employed individuals. There’s no better way to do that than with answers to the questions we’re asked most often. Some answers may seem obvious; others less so. But if you’re new to self-employment, the chances are you’ll learn something new. That’s not to say we can’t help you if you’re an established business. It’s just that there are more prevalent guides on our site for you. entrepreneurs looking to invest their income from the outset with a buy-to-let mortgage. a sustainable income model to ensure responsible lending. All clear? Awesome. Here are the FAQs those new to being self-employed ask most often about getting a mortgage. And, of course, the answers. I’ll keep them as brief and crystal-clear as possible. But just so you know, not everything’s black and white. So before you begin, get a pen and paper handy. You can always call our experienced team of advisors if you’re still not sure afterwards. They won’t bite. And they know the difficulty in getting a self-employed mortgage with 1 year’s accounts. They, like you, cannot believe the blinkered view High Street lenders have of self-employment. Let’s open their eyes, shall we? Will a lender offer me a mortgage if I’ve only been self-employed for one year? The short answer is, yes. You can get a mortgage with just one year’s filed accounts. Some of you reading this will testify otherwise. You’ve been to your local branch and they’ve asked you for at least three years’ accounts. They may also have asked for a business plan, tax returns and more. So, yes; there are caveats. But as someone who’s specialised in self-employed mortgages for over a decade, I understand. I’ve felt your frustration first hand. But I also know why some lenders are more cautious than others. Can I get a self-employed mortgage with less than two years’ accounts? Banks and building societies must support loans like mortgages with evidence. They must be 100% certain that any applicant can afford to repay the loan. For self-employed borrowers, lenders use filed accounts to prove affordability. Now, not all banks’ lending models are the same. That’s why some ask for three years’ accounts, others two. And if you know where to look, why some lenders are confident with just one year’s books. Let’s imagine you’re part way into your second year of trading when you see the home of your dreams. You want to buy it. You think you can use your first year accounts and earnings to date from this second year as a bargaining chip. It ain’t gonna happen. No matter which lender you approach, the only figures they can use are those from your first year. Those lenders whose lending criteria call for at least two years will refuse you flat. The few who’ll work with one full year of self-employed earnings can help. But let’s underline this point: they’ll only class a full year’s income as relevant. For one, you’ll be wasting both your time and the lender’s. But there’s another more important reason: your credit score. Every time you apply for credit, you leave a trail on your credit history. When you’re refused a loan or mortgage, it has an adverse affect on that score. You might not think a failed search is that important now. Why would you? Nothing ventured, nothing gained, right? Applying for any self-employed mortgage with adverse credit makes it more difficult. Not just for you, but for your broker and the lender, too. reduce the top end of what you can borrow in accordance. Think security. Think responsible lending. Think evidence. *The only exception to waiting a full year relates to contractors. They can access ‘contract-based underwriting’. It just means that (some) lenders will assess their affordability using their contract rate. Check out our contractor mortgage guide if you fall into this bracket. a completed SA302 self-assessment tax return. For limited company contractors, it’s a little different. Lenders have various means of assessing what, of your income, they class as relevant. Again, our contractor mortgage guide explains that in greater depth. But let’s just get back to the brass tacks. Or rather, income tax. Your self-assessment documentation plays a huge role in how much you can borrow. What’s the most I can borrow for a year one self-employed mortgage? Credit score aside, self-employed applicants occupy a level playing field with permies. In real terms, self employed applicants can borrow 5 x times their relevant earnings. That is, of course, after the first full year of trading. What do lenders class as relevant earnings? It differs between company directors and sole traders. For a sole trader, a lender will use their net taxable income. In this sense, the mortgage process mirrors the employee lending model. For limited companies, some lenders will try to make their accounts fit this model, too. That’s where the High Street fails contractors and company directors time and again. Yes, contractors may have retained profits within their business. But lenders with no bespoke contractor lending criteria can’t get beyond salary and dividends. To unlock the retained profits in a limited company, again, our guide has the answers for you. Who are the best lenders for people new to self-employment? Remember I said everything’s not black and white? Here’s a great example of that. As a self-employed entity, you are unique. Your income sustainability, business model and relevant earnings are on one side. They can all differ from one sole trader to the next. And then there’s the personal side. How big a deposit you have, the loan term you want and the value of your new home. They all help shape who’s the best lender for your first self-employed mortgage adventure. Only got 5% deposit after year one of being self-employed? Why not try Help-to-Buy? Think you can get a better rate by remortgaging after year one? You may well be right. But how do you know if you’ll be better off or not? This is where we come in. As specialists, we talk to these lenders and their underwriters every day. Over time, we’ve developed and honed an instinct. But before we can help, you must speak to one of our advisors. They’re not psychic, after all. From that first informal chat, they’ll understand which lenders suit your circumstances. If you want a quote, they’ll get you one. In fact, they’ll be your point of contact from start to finish. And that’s where we like to think we’re different. We don’t use complex algorithms. We’re all human (mostly) and the knowledge that will help you we’ve forged over a decade. You’re more than welcome to hit the High Street. But do prepare yourself, even if it’s just by printing this article. For those who want the fast track to a self-employed mortgage with just one year’s accounts? We’re here for you, ready when you are.